I recently noticed that many of my Facebook friends list their birthdate in their profile information. This is asking for trouble because it leaves them at risk of identify theft. Some people even display their full postal address and birthdate in their Facebook profile! or thieves gaining benefits like government social security by pretending to be you. You make it easier for identity thieves when you make lots of information about yourself public like your birthday, address or phone number because these are often used by call centre workers at your phone company, bank, insurance company etc as security questions before they change your password or postal address. So think carefully about what information you put on Facebook, MySpace and other places where you meet and interact with other people online. Great tip. People should pay attention to this one. 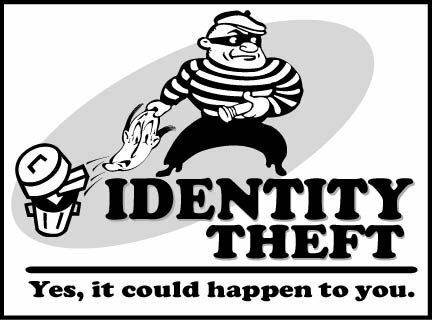 I have had a problem with identity theft before and it can be expensive and a real nightmare getting it resolved. Be careful what you put out there. Great post. It’s not just birthdays but place of birth has well. This is a common security question and there are facebook applications that practically advertise your city of birth. Another point is despite every safeguard you take to protect yourself, your information is already out there. You can’t control what happens to that credit application once you fill it out. A data breech or a disgruntled employee at the bank, car dealership, etc… can leave you vulnerable in more ways people care to think about. This seems good advice! I’ve heard of people registering for in Facebook with a birth date that is a couple of days before/after their REAL birthday. It only works if you haven’t already signed up though! Pity to miss out completely on bday messages. I never thought of that before. I haven’t had a problem with my facebook page, but you never know these days and after reading this I am planning on removing it. Thank you.